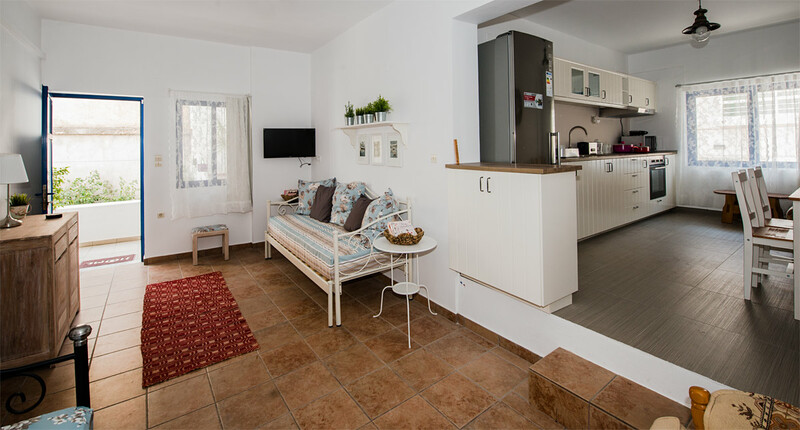 Welcome to our house where you come as a guest and after an unforgettable holiday you leave as a friend. 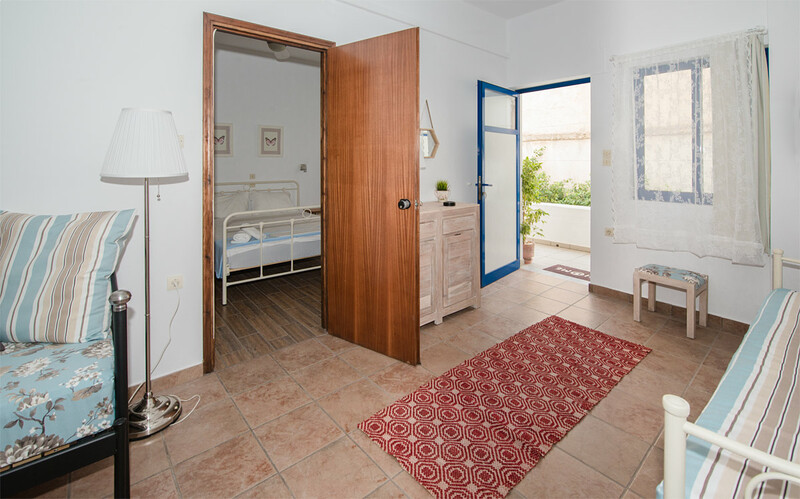 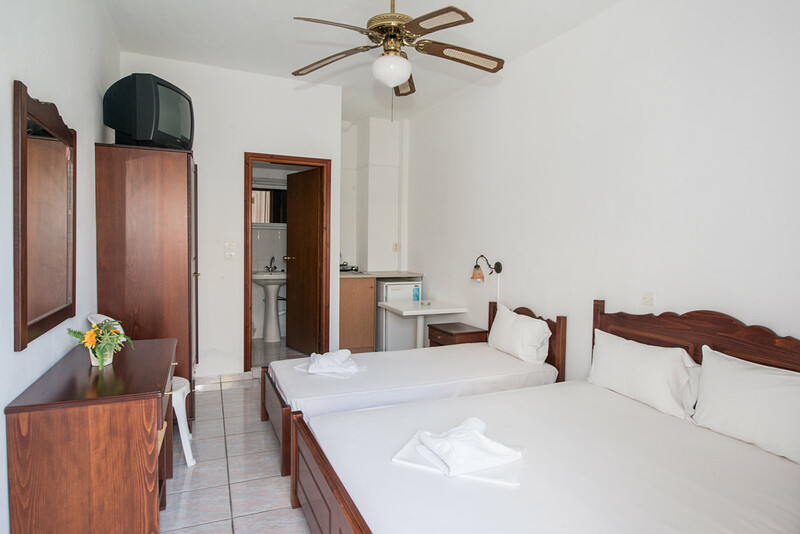 Our rooms and apartments are in Paleohora, the most beautiful town on the Cretan south coast, exactly in the south-western corner of the Chania district. 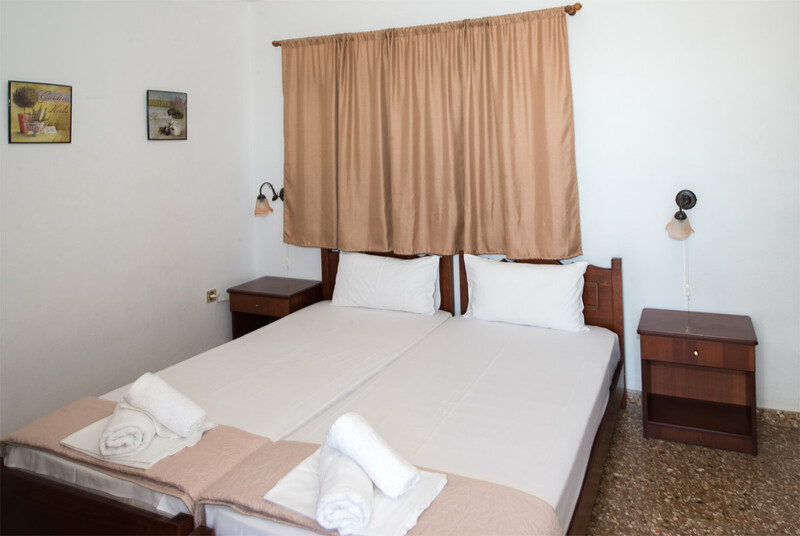 The hotel is located just 20 meters from the pebble beach. 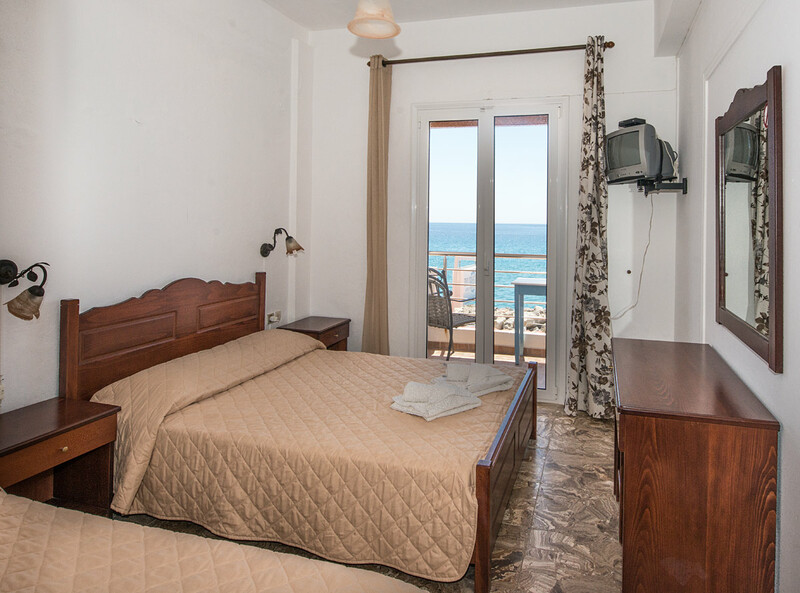 Walking distance to the sand beach is about 5 minutes. 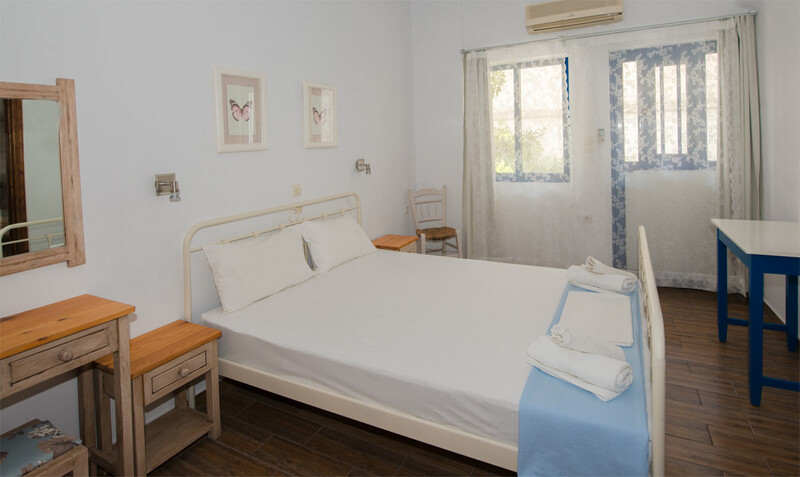 We offer you 6 double rooms, 3 three-bed rooms with kitchen and 1 apartment with 2 bedrooms and kitchen. 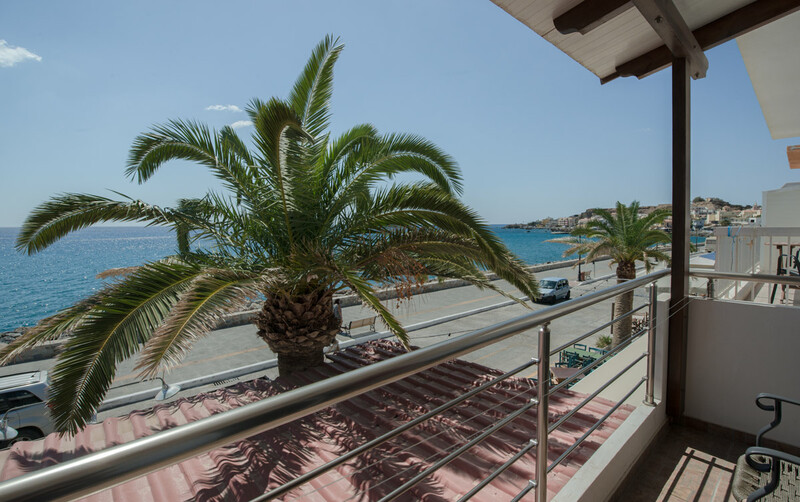 There is also 1 apartment, big enough for 5 people, with 2 bedrooms, large living-room, separate kitchen and a balcony facing the sea! 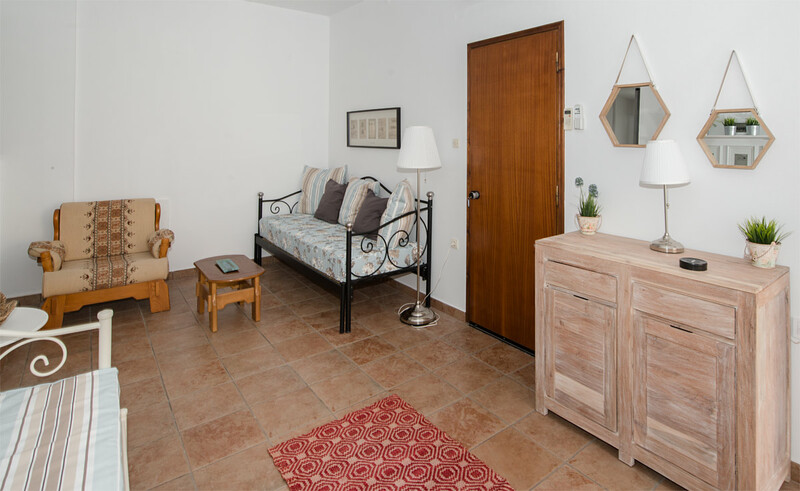 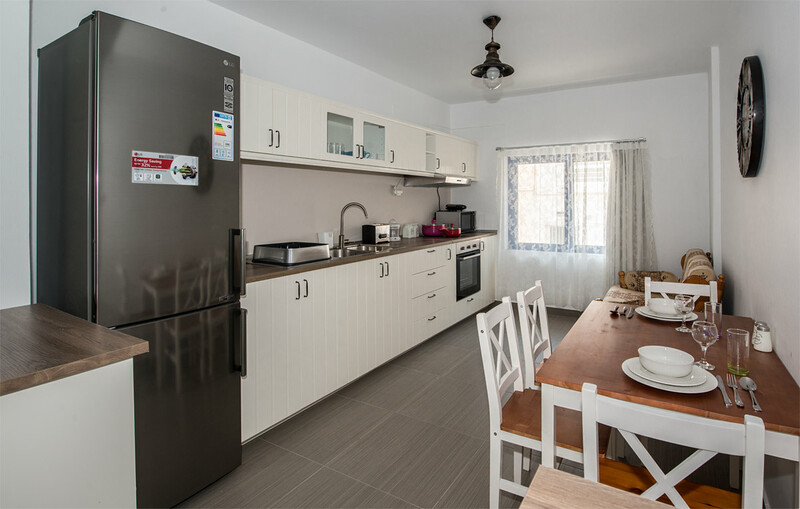 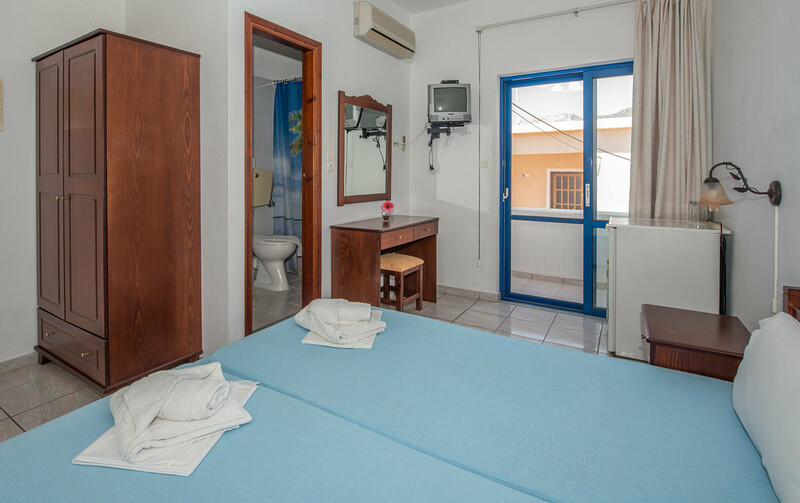 ALL our rooms include a private bathroom with toilet, shower and hot water, refrigerator, air conditioning and heating. 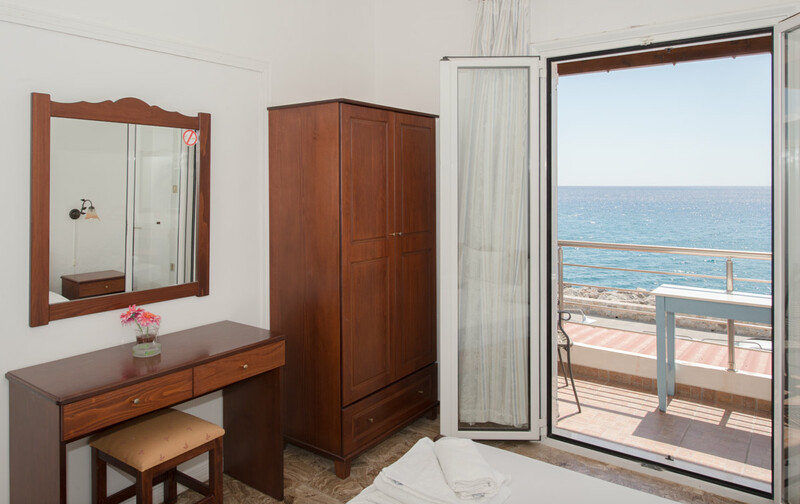 Most rooms also have a balcony with sea or mountain view! 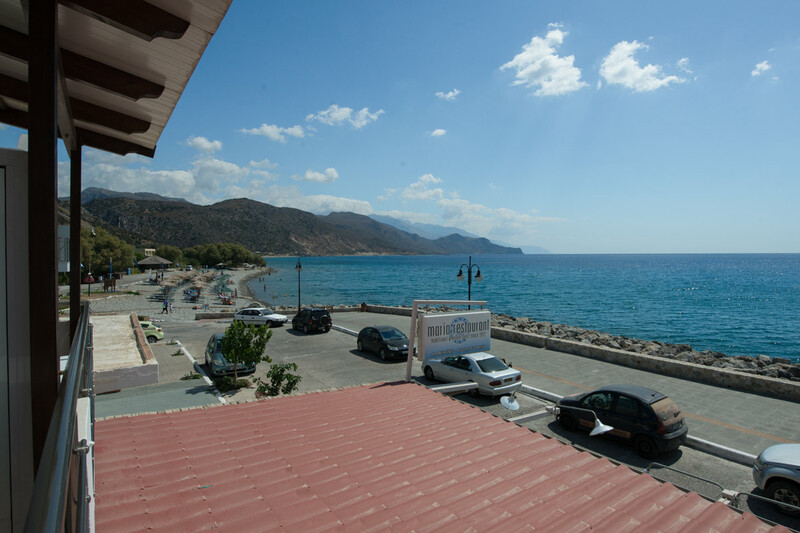 You will find our restaurant on the ground floor terrace where you can enjoy dinner with a lovely sea-view and try Maria's excellent homemade dishes and traditional recipes.